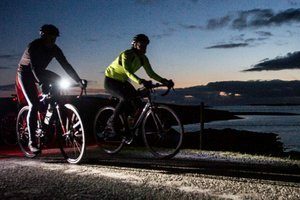 With a full moon as your chaperone choose from 100km, 68km and 34km distances along this magnificent part of the Wild Atlantic Way. This is not a race but a journey, although it is timed. Starting just before sunset you will cycle into the darkness. This is the perfect landscape for night cycling. The darkness is complete and unpolluted but the full moon and the stars will help light your way. If you need a reason then there are plenty – to prove you can, to feel alive, to get away, to get back, for peace and quiet, to think, to let go, to celebrate. There are so many, you only need one. It is also just a wonderful way to spend a moonlit evening.